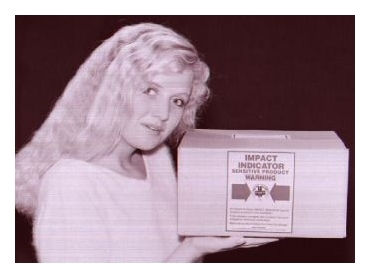 IMPACT-O-Graph impact indicators from Domo-Technica tell when a sensitive product has been dropped or abused during shipment or handling. The indicators provide evidence of abusive handling even though the damage is concealed within an unbroken container. They protect a manufacturer's reputation when a customer receives a non-working product due to rough handling and the reason for its failure is not apparent. They are also used to design packages, as evidence for claim processing, and as a tool to protect against false claims. Also available are impact recorders to record shock and impact from all directions. The instruments record on chart paper (no ink required) the total number of impacts that have occurred, the magnitude, the direction and the time at which they occurred. · Lateral shock "X" axis. · Longitudinal shock "Y" axis. · Vertical shock "Z" axis. All models are self-contained, small in size, lightweight and can operate in any direction.